We’ve driven the all-new 5 Series on Irish roads, and it looks set to be a resounding success for BMW. We hold a certain amount of pity for the guys and girls at BMW. How do you even begin to go about designing a new 5 Series? It has been the class benchmark (or very near to it, anyway) seemingly since the advent of time itself, so Munich's engineers must feel some trepidation when the time comes around to bring a new iteration into the world. With the G30 model, it's safe to say that they've truly outdone themselves, and most of the rest of the executive class are now playing catch-up. Having previously experienced a number of variants overseas, we've now had the chance to test the all-important 520d on Irish roads. Other than the badge on the boot lid (which can be deleted, of course), there's little to distinguish it from the rest of the range, especially if you go for the M Sport specification that our test car featured. It's a sharp-looking thing, and immediately makes the outgoing F10 model appear old hat. The sheer size of the front kidney grilles may shock some, but overall we reckon that BMW has scored a winner here. Despite the car being slightly bigger than its predecessor, it's actually lighter, thanks in no small part to widespread usage of aluminium for the chassis and body panels. This particular car rides on 19-inch rims, and while the white body and black wheels combo won't be to everyone's taste, it definitely gives the 5 Series some serious road presence. Lighter colours also highlight the body detailing much better in the flesh. The cabin is a simply glorious to be in. The free-standing touchscreen on the centre console is excellent, and while iDrive was viewed with intense suspicion upon its debut almost two decades ago (talk about feeling old...), it's now as comfortable and familiar to use as a favourite set of golf bats. Gesture control also features, although its functions are still quite limited and it's just as easy to press the steering wheel-mounted buttons most of the time. More usefully, the head-up display has been enlarged, while the TFT instrument cluster is seamless in operation. The list of customisable options could fill a book by themselves, but suffice it to say that if you can't tailor the car's settings to your own needs, you are not human. Space is excellent both front and rear, and every action from the opening of the lid covering the cup holders to the turning on of the interior lights feels like it has gone through an extensive and rigorous thought process, while the fit and finish are exemplary. The seats are comfortable and supportive, and not once during our week with the car did a journey ever result in anything but a feeling of refreshment upon arrival. This is a continent-crusher, and no mistake. M Sport BMWs have sometimes erred toward being too stiff for Irish roads in the past, but the G30 benefits from properly sorted damping. The 1,560kg weight (the lightest in the class) helps in this case, and the body control is excellent, even on the bigger wheels. Only the most jagged of surfaces upset its balance, and for 95 per cent of the time it is unimpeachable. In fact, it's hard to imagine how the SE could be any more cossetting. The level of grip proffered by the wide tyres feels never-ending, but when the car does start to slip, it does so in a beautifully controlled and predictable manner that feels entirely natural. The steering is precise and weights up nicely to give an indication of how hard the front tyres are working, and for such a big car it is very enjoyable to hustle along. While the bigger-engined models have the luxury of gargantuan torque outputs to fire them along, the 2.0-litre TwinPower turbocharged diesel engine doesn't disgrace itself by any means. Sure, it won't set your hair on fire, but for a four-cylinder unit in a car of this size it's more than capable, and the vast majority of drivers will be happy with it. The eight-speed automatic gearbox means that torque is always available, and the only real complaint is the slightly uncouth rumble from the diesel powerplant at higher revs. Refinement and noise suppression at speed are excellent, and economy noted over a week of mixed driving comprised of city driving and longer journeys was close to 50mpg. The optional Driving Assistant Plus offers semi-autonomous aids such as steering assist and adaptive cruise control, activated by buttons on the steering wheel, and is very intuitive to use. The adaptive LED headlights are a worthwhile addition, and watching the full beams dance to avoid dazzling oncoming traffic is theatre in itself. The only discernible flies in the ointment are the slightly dubious Display Key (think along the lines of a five-year old smartphone), and the fact that selecting a few choice options can send the base price of €52,800 for the 520d SE model rocketing skywards at a rapid rate. That's the lot, and it must be said that BMW has done it again. The 5 Series emphatically jumps back into the lead of the premium executive class, and the void between it and the 7 Series has never been narrower. What a car. 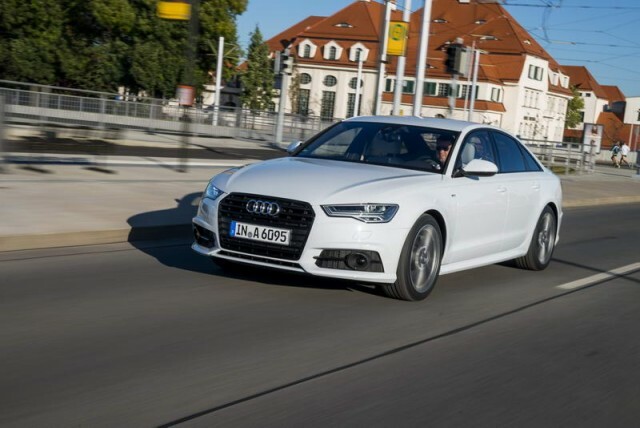 Audi A6 2.0 TDI S line vs. BMW 520d M Sport: cheaper than the 520d, but rapidly nearing the end of its life. A replacement is due soon, and is needed to counteract the Munich offensive. 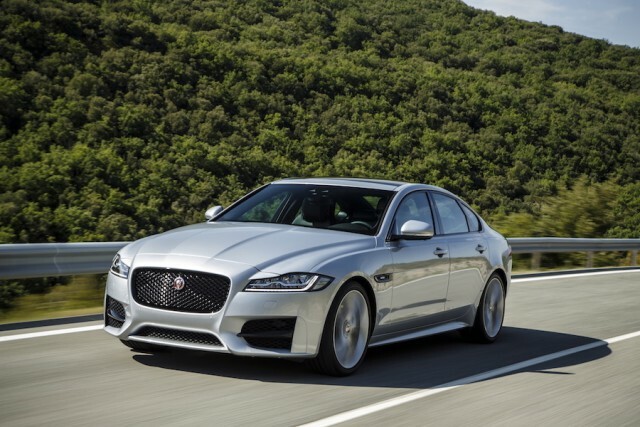 Jaguar XF 2.0d R-Sport vs. BMW 520d M Sport: looks like it's been around for ages thanks to a deliberate ploy on Jaguar's part to build brand recognition, but benefits from many revisions under the skin to form a competent rival to the German stalwarts. 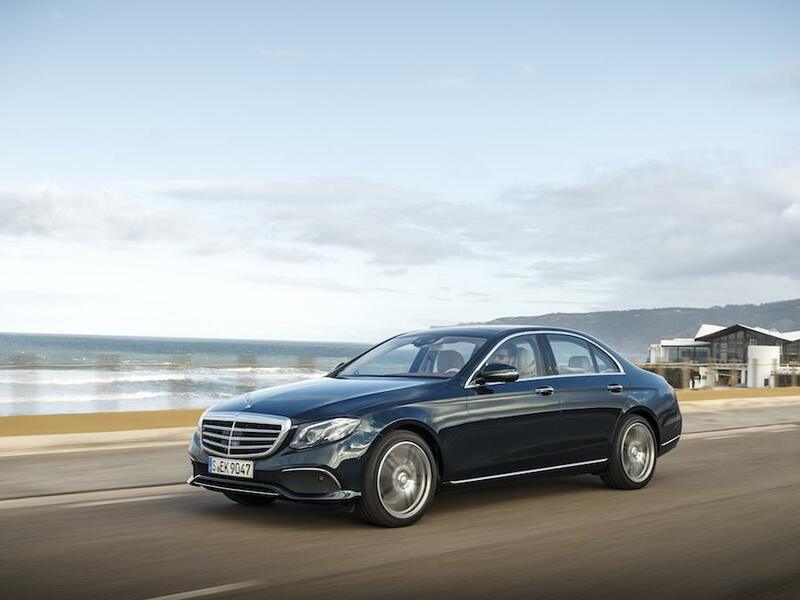 Mercedes-Benz E 220 d AMG Line vs. BMW 520d M Sport: edges the BMW on refinement and comfort, although there's now very little to choose between both cars in that regard. Not as fun to drive as the 5 Series, however.